It’s hot. Hard to look hawt in this heat, no? Put on something breezy and whisper thin, something white – and chill out with a few of my favourite heatwave tunes. A dress is so easy, breezy in this weather - love this Chloe one. One piece + good shoes and you are done. Wear this Zero + Maria Cornejo number with flats to work. Add a long silver necklace and heels for evening. Eyelet and laser cutting are both huge this summer. 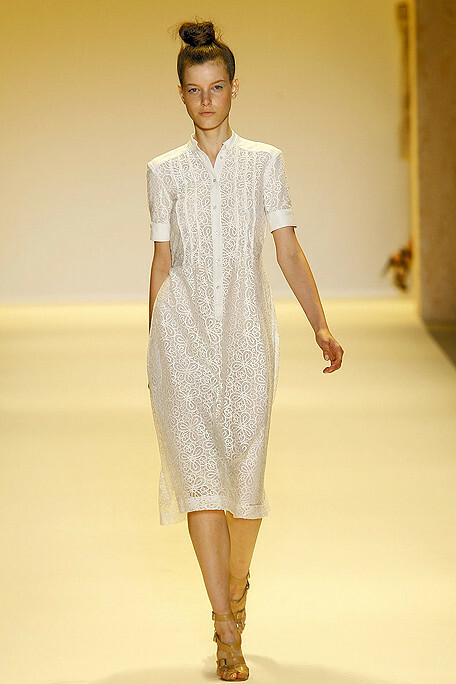 I loved this shirtdress from Adam - much more multi-functional than those eyelet halter dresses that everyone and her sister is wearing, if you have a non-fashion job. Who says you have to give up your style in the summer? Not Viktor and Rolf. Y-3 cotton casuals will keep you cool and well, cool. Oh, how I adore a long skirt. And we've established that crooked things have a warm place in my heart, right? Akris SS11 accurately captures the summer me I'd like to be. Just because it's hot, doesn't mean you can't be haute. 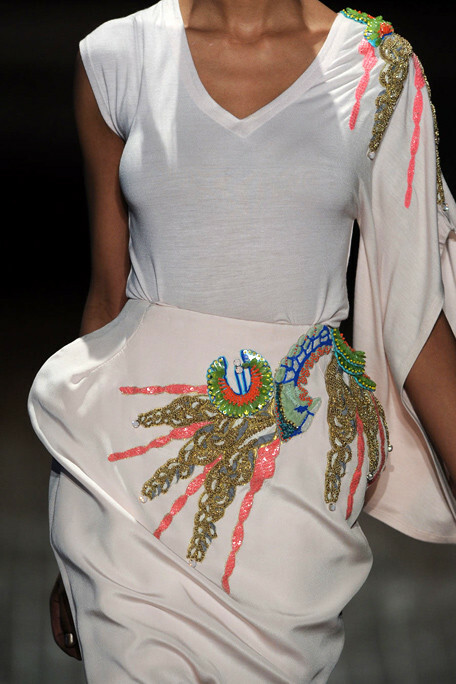 Manish Arora adds just the right amount of colour and embellishment to a t(ease)-shirt and skirt combination. Bottega does simple, perfectly - but I don't believe in summer booties. I'd keep it clean with a turquoise flat sandal or a pair of minimal strappy heels, in maybe a burst of raspberry? I'd keep the leaf-green bag, too. Nothing like a Bottega satchel! Oh and the best way to control frizz? Wash the locks in the coolest water you can take, put on industrial-strength Kerastase serum – and a fedora, atop flat-ironed hair. Or – just let your hair down and set your inner Diana free. 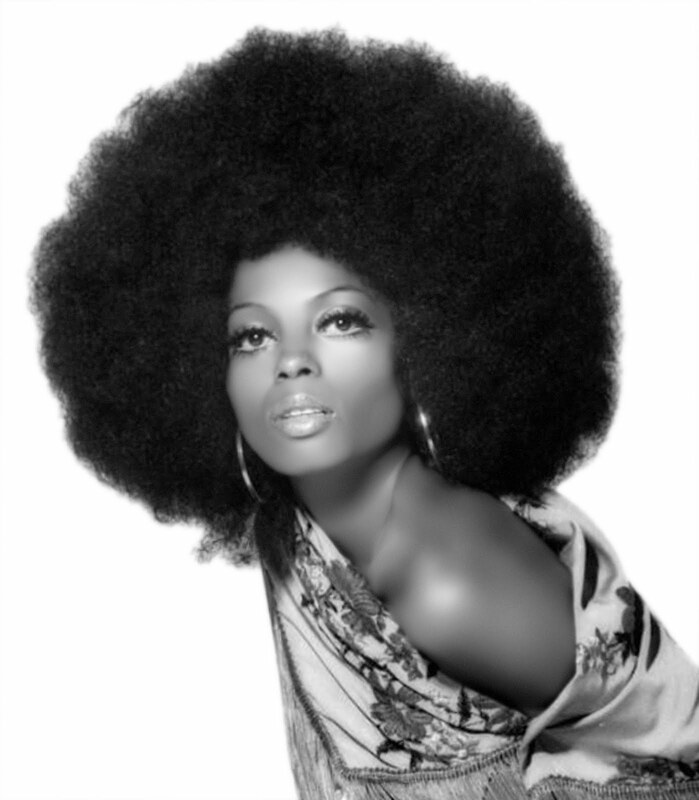 Diana Ross, circa 1966. Do the do! 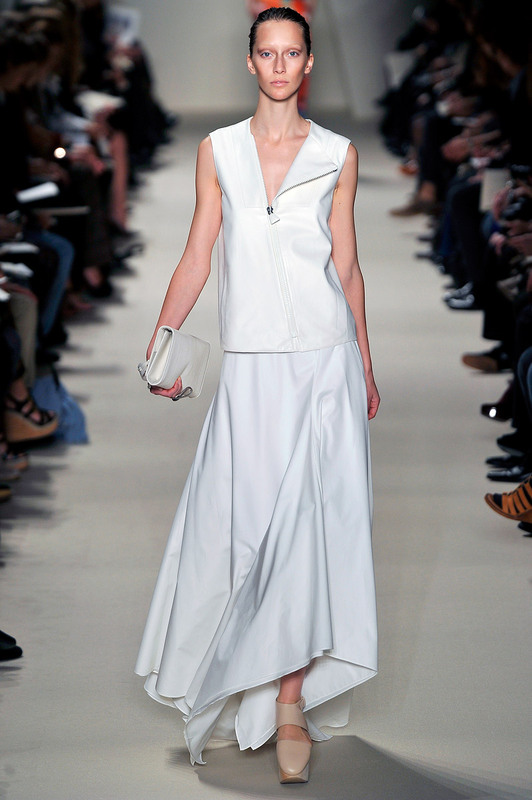 Need more white inspiration? 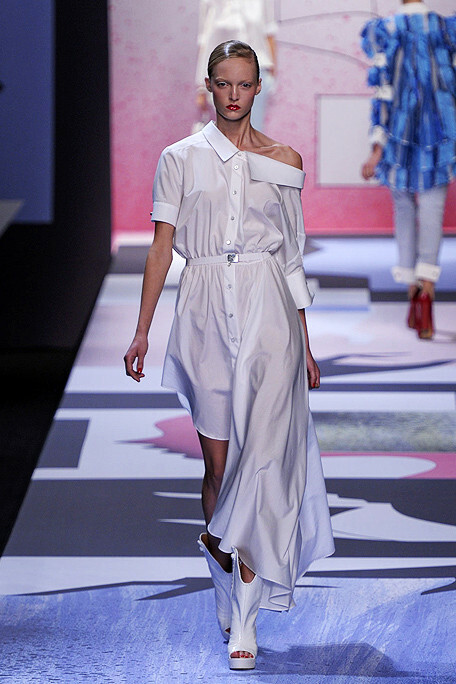 Check out last year’s SS10 looks in White-Hot. Images: Diana, courtesy of Pretty Pictures; all others from Elle.com and Vogue.com.